Review of the 2010 Seattle CityChase event: As organized as a headless fish trying to fly. Today a friend and I participated in the 2010 Seattle CityChase event. The event is a scavenger-hunt style Amazing Race event. I’m a huge fan of the TV show Amazing Race, having watched every episode of every season, excluding the horrible season 8 (the atrocious family edition). I’ve also seen every episode of Survivor except for the first 4, as well as every episode of The Apprentice. Needless to say, I have a very good knowledge of how well-ran events like this take place. I started out with high hopes of having a great time, but thanks to a few bad factors, I ended up displeased with the race itself. Through a poor lack of event organization, several health concerns, and overall “meh-ness”, I started the day in excitement but left with a bad taste in my mouth from the event. The new Sobe drinks are HORRIBLE compared to the old ones! The Sobe brand of drinks is one of my favorite brands of all time. I have drank Sobe beverages for over 10 years, and at one point collected the bottle sticker label of each different Sobe drink I bought. These glass bottles held delicious juice inside that contained added vitamins and stuff like that… but all I cared about was the flavor. ORANGE CARROT is possibly the best combination flavor of all time, and is was my favorite drink of all time. Recently, the wise people over at Sobe decided to change to plastic bottles so their drinks could fit into vending machines and be sold in more locations. I missed the glass bottles, but didn’t mind the change because it meant I could now get my orange-carrot goodness in more locations. However, in addition to changing the bottles, they also slightly changed the formulas for how their drinks are made. How can I tell? After drinking the same drink for over 10 years, you notice if it changes. The change in the drink now makes the orange-carrot flavor taste like a horrible powered orange drink, along the likes of the powdered drink TANG. What was once my favorite drink, is now a disgusting liquid that I cannot finish. I bought an orange-carrot Sobe last week, and couldn’t drink more than 1/4th of the drink because I was so disgusted by the new flavor. This change has also affected the cranberry-grapefruit flavor, which was another common flavor that I would drink. 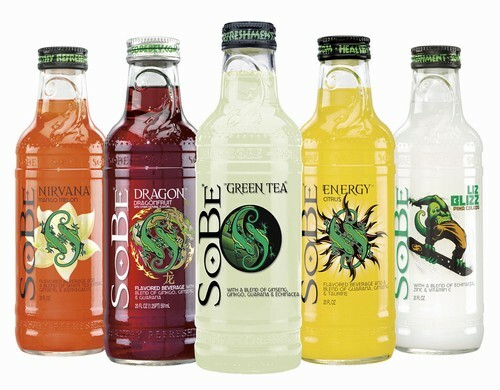 SOBE, PLEASE BRING BACK THE OLD RECIPIES! I’ve gone from a die-hard supporter to someone who wouldn’t recommend even giving the drink to a pet. Just got up a blog to replace the static portfolio page I had here before. Fun times ahead.